PONAM was a European Science Foundation (ESF) “Associated Programme”, but was run as a large research project. 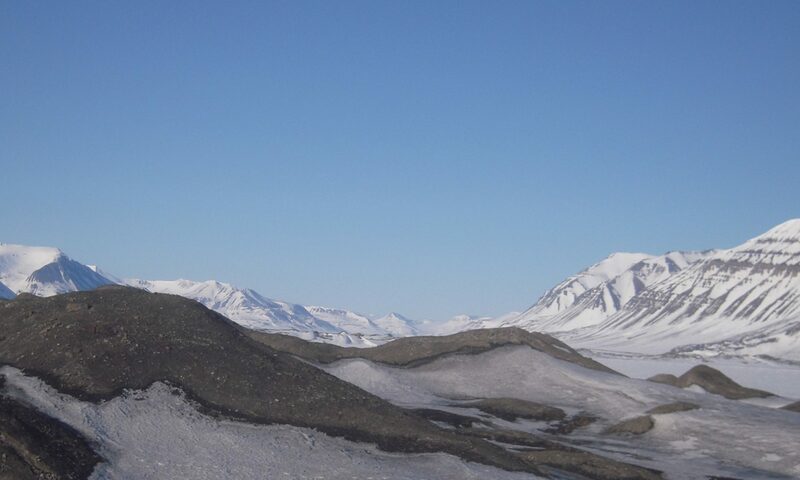 The main research theme was the development of the climate and ice sheets through the last interglacial-glacial cycle, but the development on longer time scales and the present interglacial conditions were also studied. It was an overarching goal that marine and terrestrial scientists should work closely together. PONAM was originally proposed by Anders Elverhøi (Univ. of Oslo) who also was the project leader. The steering committee consisted of J. A. Dowdeswell (UK), M. Fratta (ESF), S. Funder (Denmark), J. Mangerud (Norway), D. Futterer (1989-92) and R. Stein (1992-94) (Germany). Some of the advisory committee consisting of G. S. Boulton, J.-P. Henriet, C. Hjort, A. Juillet.Leclerc, H.C. Larsen, J. Thiede and T.O. Vorren met regularly with the steering committee. The funding, obtained from a number of sources, is estimated to about 7 million Euros. A minor funding of about 0.2 mill Euros from ESF was crucial because it covered regular steering committee meetings and annual meetings for all participants, including Ph.D. and Master students, securing focus on the main problems and close co-operation between scientists from different fields and countries. PONAM scientists published more than 200 papers in international journals, including four special volumes; the last consisted of 10 multi-authored synthesis papers (Quaternary Science Reviews 17, 1998). Some 25 Ph.D. and 36 Master theses were completed within the project. Almost all participants in PONAM were very happy with the project and during the last meetings of PONAM a new project was discussed. Most western scientists knew very little about Arctic Russia, including the shelf and the Arctic Ocean to the north and it was decided to establish a project parallel to PONAM, but now studying environmental changes over the two last glacial cycles from continental Arctic Russia to the Arctic Ocean. Jörn Thiede (Germany) was project leader and the steering committee consisted of V. Astakhov (Russia), H. Bauch (Germany), D.Y. Bolshiyanov (Russia), J.A. Dowdeswell (UK), S. Funder (Denmark), C. Hjort (Sweden), V.M. Kotlyakov (Russia), J. Mangerud (Norway), S.M. Pryamikov (Russia), M. Saarnisto (Finland) and C. Schlüchter (Switzerland). Similar to PONAM a funding from ESF allowed regular steering committee meetings and an annual meeting for all participants, which were extremely important for the co-operation. This time an EU-project, Ice Sheets and Climate in the Eurasian Arctic at the Last Glacial Maximum (Eurasian Ice Sheets, 1998-2000), co-ordinated by J.I. Svendsen, funded a major part of the land work. Otherwise, there were funding from several sources. A large number of papers were published from QUEEN, including four special volumes in international journals, the last contained 11 multi-authored synthesis papers (Quaternary Science Reviews 23, No. 11-13, 2004). The QUEEN closing meeting was held in October 2004 in Brofede, Denmark. One of the main goals with the closing meeting was for the QUEEN Steering Committee to appoint a group of younger scientists and give them the task of forming a new continuation project. Martin Jakobsson (Sweden) was assigned to chair the group that consisted of Igor Demidov (Russia), Ólafur Ingólfson (Iceland), Kurt Kjær (Denmark), Gerhard Krinner (France), Antony Long (UK), Juha Pekka Lunkka (Finland), Robert Spielhagen (Germany), and John Inge Svendsen (Norway). After a brain storming session during the Brofelde meeting the appointed group came up with the idea of forming a project that would aim to better understand the magnitude and frequency of past Arctic climate variability, especially the “extremes” versus the “normal” conditions of the climate system. The Arctic Palaeoclimate and Its Extremes (APEX) program was initiated. An important aspect of APEX was the emphasis on the integration of marine and terrestrial science as well as modelling and field observations. APEX received formal endorsement by the International Arctic Science Committee (IASC) and ended up involving scientists from 15 European countries, Canada, Russia and USA and became one of the coordinating programmes for palaeoclimate research during the International Polar Year (IPY) 2007/2008. The APEX Steering Group was expanded with four more members by including Dmitry Subetto (Russia), Thijs van Kolfschoten (The Netherlands), Brenda Hall (USA) and Claus Andreasen (Greenland). Polar Research, 2008, vol 27: Introduction + 13 multi authored papers. Quaternary Science Reviews, 2010, vol 29, issues 25-26: Introduction + 22 multi authored papers. Quaternary Science Reviews, 2014, 92, Introduction + 29 multi authored papers.